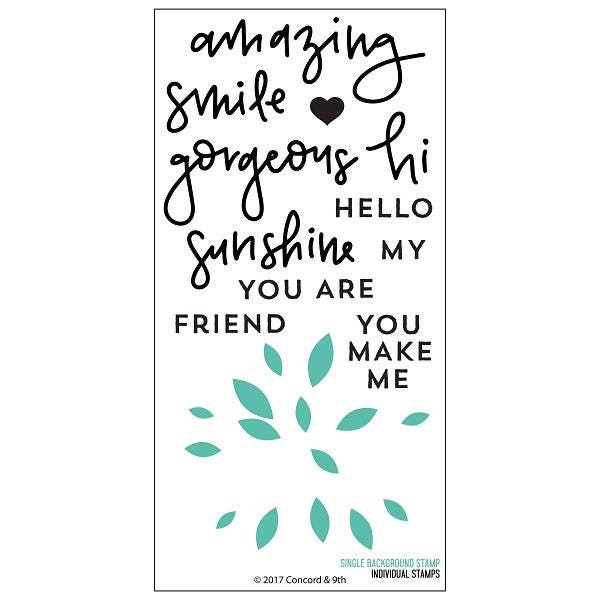 Create fun cards for your amazing friends using the Dahlia Turnabout Clear Acrylic Stamp Set. The package includes 12 photopolymer stamps by Concord 9th that come on a 4" x 8" storage sheet. The stamps can be used with an acrylic block and coordinate with the Dahlia Turnabout Die Set all are sold separately.